Busker Dylan spends his days pulling pints in the local pub and singing on the high street, waiting for fame to call. That suits him fine, until beautiful, but frosty, air stewardess, Scarlett, tosses some coins into his hat but ignores his killer smile and his offer of pizza. 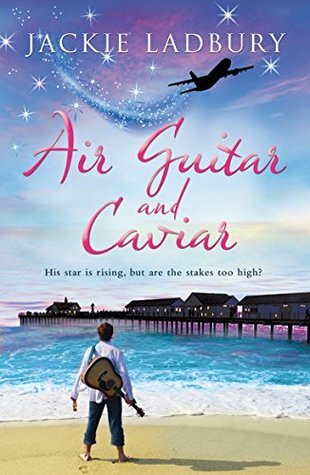 He sets out to get the girl, but Scarlett isn’t in the right frame of mind to date anyone, let alone a penniless, if charming, busker boy. This is an unusual love story that keeps changing the dynamics of the characters in a topsy turvy kind of way. Dylan is a confident charmer that sets his heart on winning over Air Stewardess Scarlett with his Busking and utter determination. The thing is poor Scarlett has more than enough on her plate without involving herself in a relationship with anyone, let alone a Busker and Bar Tender. This is a lovely story where nothing is what you first think or second think for that matter, but it is one of those stories where half the time you want to shout at Dylan and the other half at Scarlett. Two thing were for sure and that was what ever secrets they had hidden in the past were going to come and mess with their futures and this couple were made for each other if ever they could be honest and open up. There was plenty going on, with their love lives and the work too. Both make major changers to stay apart but fate has a way of brining them back together. It also has it’s light side to life which did make me smile too. I liked how the characters developed through the book. You can’t escape your past but you can make a future where you want to be. A lovely enjoyable story.